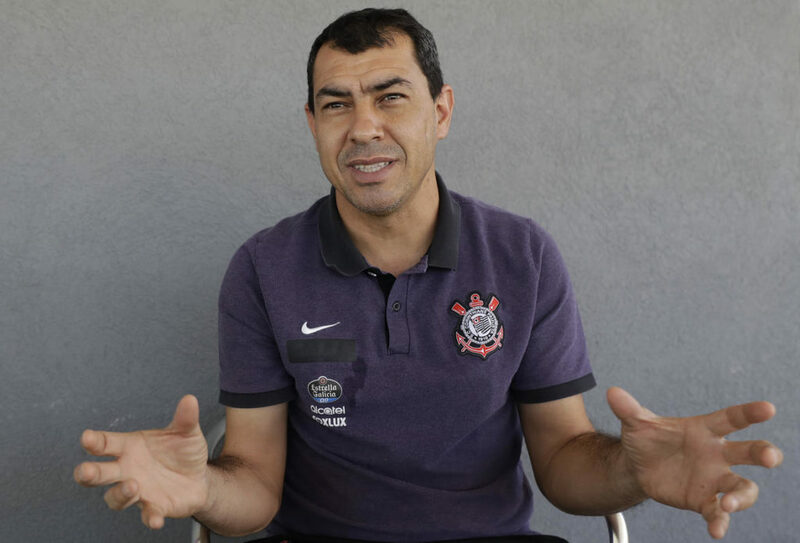 After some strange behaviour last week, in which he spoke about trucks, money and then accused ‘most of the media’ of lying, Fábio Carille has left Corinthians for Al Wehda. By deciding to switch Brazil for Saudi Arabia, Fábio Carille has effectively chosen money over career progression. The decision might seem surprising, but it is also understandable. Brazilian football coaches have a lot of job insecurity and Fábio Carille didn’t make a fortune during his playing career. By moving to the Middle East, where he will earn a huge pay packet, he is giving himself financial security for his future. Fair enough. Also, by leaving Corinthians on a high, he will almost certainly be able to return to Brazil and walk into a job, no matter what happens at Al Wedha. If he had stayed at Corinthians, and things went pear shaped, it might not be that easy. It could also be a life choice and the opportunity to experience another culture and life in another country. Life is not all about work, right? To some it might seem that he is a little insecure of his own abilities by jumping at this chance now. Why not stay at Corinthians and make a bigger name for himself there? Or wait for an offer from European football? Valid questions for sure. Ultimately, though, it seems that the money spoke loudest. Carille didn’t cover himself in glory last week – as discussed on Brazilfooty the coach openly spoke about the possibly of leaving Corinthians and then accused ‘a large part of the media’ of lying. He later apologised for those comments, even if it was a qualified apology. The stress of making such a big decision got to him it seems. Normally, the coach conducts himself well. Most Corinthians fans have reluctantly accepted his decision and wish him well. He’s done a fantastic job there after all. He has been at the club as a coach since 2009 and won 8 trophies as part of the clubs coaching staff (including a stint as assistant coach to Seleção Tite). After becoming the manager at the start of last year, he won the league and won two State Championships. Three trophies in a year and a half isn’t bad going at all! According to Globoesport in 114 games, he won 59 times, drew 32 times and last 23 times. For Corinthians fans this is bad news. A massive loss. So much so that they have appointed someone called Osmar Loss at their new manager. Jokes aside, Loss is highly rated and has been working at the club for some time. In 147 matches in charge of the club’s youth sides he won 95 games. Loss is 42 years old and the plan was to groom him to be Carille’s successor, just like Carille successfully succeeded Tite. But although Loss was expected to take over one day, that day has come much sooner than had been planned by the club’s hierarchy. It will be a baptism of fire for Loss as the there are three games in the Brasileirão this week. His first match in the Libertadores didn’t go to plan and despite dominating the game against Millionarios, Corinthians lost by a single goal. The good news is that after the three games this week, Brazilian club competitions and Intercontinental South American competitions will stop for around a month for the World Cup. That should give Loss some time to arrange his staff, think about his team and try to impress on the players the way he wants to play. Carille is an excellent coach though and there is no hiding that this is a massive blow for Corinthians. Their rivals will be cheering. This entry was posted in Brasileirão, Brazilian football and tagged Al Wehda, Corinthians, Fábio Carille, Osmar Loss by Brian Davidson. Bookmark the permalink.